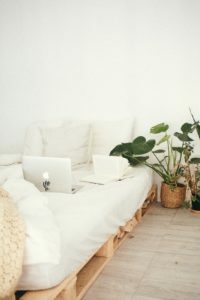 Are you thinking about buying a new bed this summer? If so, Independence Day just might be the perfect time to go shopping. Practically every retailer will be slashing prices during the holiday. Which means that shoppers can score a great bargain on a new mattress. Indeed, you’ll be able to find discounted rates and other deals from brands big and small. These include Sealy, Tempurpedic, Serta, Amerisleep, and others. All of these price cuts can spell big savings. But the sheer number of promotions can also be a little overwhelming. Let this article be your guide. We’ve sorted through all of the sale postings to bring you the most worthwhile discounts. And we’ll continue adding more as they become available. (So bookmark this page and keep checking back!) You’ll also discover insider tips for finding the best bed at the best price. Let’s dive in. Have you heard of the online brand Amerisleep? It may not be a household name quite yet. But this retailer is fast becoming known for their plant-based memory foam mattresses. Amerisleep’s beds are renowned for their comfort, high quality, and fair prices. Altogether, their products deliver an excellent value. Best of all? 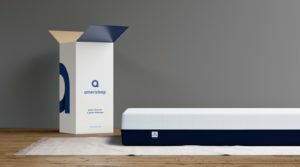 Amerisleep is offering $200 off their beds over the holiday with code JULY200. Like all of Amerisleep’s models, the AS3 is currently on sale. You’ll get $200 off the list price of $1,399 with code JULY200. But hurry—this offer ends after the Fourth. As we mentioned, there are a ton of great discounts and promos out there right now. But it can be a lot to sort through. So we’ve broken down the options by bed type—including memory foam, innerspring, and adjustable. If you’re looking for something specific, save time and scroll right to that section. A few important details to note. Within each category, beds are listed from the lowest price to the highest price. We’ve also included specific bed features wherever possible. However not all brands are forthcoming with this type of information. We used a “?” to show when specific details aren’t available. Memory foam mattresses are fast growing in popularity, and for good reason. These beds receive higher customer satisfaction ratings than other types. So there’s a good chance that choosing foam could mean a more comfortable night’s sleep. The other good thing is that memory foam is more widely available than ever. And you’ll be able to find plenty of discounts—from brands like Tempurpedic, Serta, Sealy, Amerisleep, and others. Just be sure to pay attention to factors like foam densities, firmness, return policies, and warranties. Getting these details up front can help you avoid disappointment later. Here’s a look at the deals being offered this year. Find more great memory foam options. 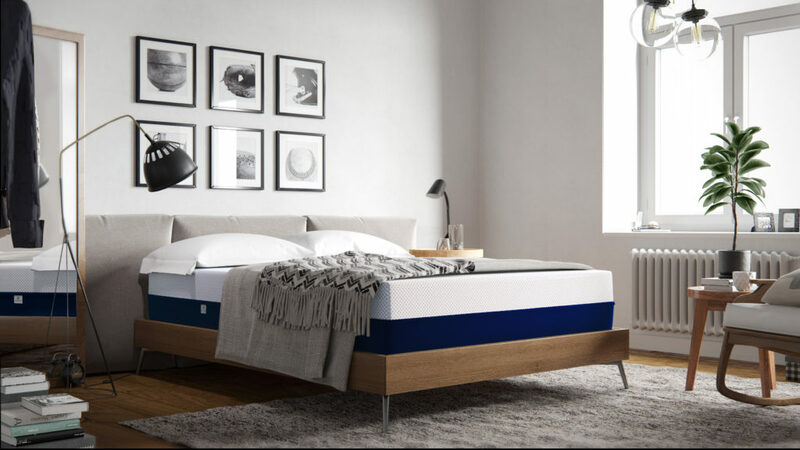 See the top memory foam mattress reviews for 2018. Traditional innerspring models are still the most common among shoppers. They’re the easiest bed type to find in showrooms. Plus they may come in at lower price points. Not all innerspring beds will deliver on comfort though. Be mindful of things like coil count, foam or padding quality, return policies, and warranties when you’re shopping. Keeping these key features at the forefront can help ensure a better purchase. Here are some of the innerspring mattress discounts available during the summer holiday. Adjustable beds aren’t as common as memory foam or innerspring models. But they’re becoming more popular. They can provide additional comfort for older adults or those with mobility issues. And today’s models are made to fit seamlessly into the design of home bedrooms. So they look as nice as they feel. The added features and technology means that these beds often cost more than other types. For many shoppers, an adjustable bed is truly a big ticket item. That can make sale events especially valuable. Learn more about adjustable beds. Check out our buying guide. We’re big believers in researching before buying a new bed. Thinking about the features that matter to you—and finding options that fit the bill—can lead to a more satisfying purchase. That said, we know that not every shopper has the time to do this. If you’re one of them, don’t worry. Below we’ve listed our top picks for the best deals of the season by category. A lot went into deciding which beds should make the cut. We weighed customer reviews, durability, price, and overall value for each model. In short, we’re confident that these beds are solid picks. That said, there’s no one option that’s right for every sleeper. It’s still important to consider the preferences that matter most to you. So take a look at these models and see which one lines up with your needs. There’s a good chance you’ll find one that fits the bill—and at a great price to match. 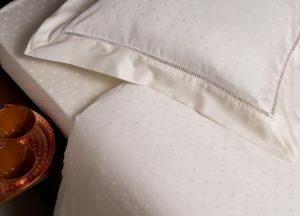 Amerisleep uses eco-friendly memory foam and advanced technology for a better night’s rest. Amerisleep AS3, $1,199 for a queen. 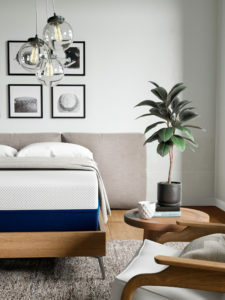 This medium-firm bed is made with plant-based memory foam. It also features a Greenguard-certified fire barrier and Celliant fabric cover. The bed has received excellent customer ratings. Just as good, Amerisleep offers free shipping and free returns for up to 90 days after purchase. Serta iComfort Blue 500 Set, $1,599 for a queen. This bed is made with gel memory foam. It also features other foam layers and a plush comfort level. Serta offers a generous return policy. However reviews are limited since this is a new model. It’s hard to know for sure what customers think of this product. Innerspring beds tend to cost less than memory foam. That may make them seem like a good deal up front. The problem is that they’re less durable. So they can break down faster than other beds. That could represent a worse value in the long run. Still, there are a few decent options that could be worth considering. Here’s what we like. 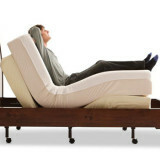 Beautyrest Recharge World Class Keaton Luxury Firm Pillow Top Set, $1,197 for a queen. This mattress has a high coil count for the price. It also has a gel foam top in medium firmness. This makes it suitable for most sleep types. The line has a good reputation overall. It’s available at Macy’s, which offers a decent return policy. Serta Recognition Firm Queen Set, $1,499 for a queen. 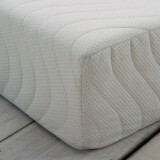 This mattress has a firmer foam top with pocketed coils. It’s the sort of model that back sleepers will likely enjoy. The model is available at Sears, which upholds Serta’s generous return policy. Serta in general is also known for having a good reputation. The one downside is that not much information is available about the foam top. There’s more to learn about the discounts and promotions that will be happening over the holiday. And the more you know, the more likely you are to score a great price on the bed of your dreams. For instance, it’s a good idea to be aware of when the promotions actually kick off. That can help you get a leg up on shopping before the crowds start to descend. You’ll also want to know where the best events tend to take place. Traditional showrooms are just one option these days. Other options could deliver bigger savings. It’s also worth learning about the different promo types. Some represent a better value than others. Getting the scoop can help you save—as well as avoid scam discounts that aren’t as good as they claim. When Will Prices Start Dropping? Sale events center around the Fourth itself. But they tend to start earlier—usually at the tail end of June or the very beginning of July. Most continue at least through the holiday itself. And some retailers will keep their sale events going for several days afterwards. After all, more time means more opportunities to get shoppers in the door. We’d recommend starting your search earlier rather than later though. It’s possible that some beds may be in limited supply. If you have your eye on something specific, it would be a shame to miss out. More importantly? There are just so many great options to choose from. It’s a good idea to take some time to figure out exactly what you want—then hunt for the best price. Simply heading to the store and buying the first discounted bed you see isn’t usually the best idea. Most shoppers who do this end up with buyer’s remorse. Especially if they didn’t bother to check the return policy before plunking down their credit card. Where Are the Discounts Happening? In a word? Everywhere. You don’t have to drive all over town to find great prices on a bed this time of year. Practically every store and showroom in your area will be advertising their cuts. You’ll often find these listings in newspapers and circulars, as well as on radio commercials. Brick and mortar stores aren’t the only place to go shopping though. More and more beds are now available for purchase online. Even the legacy brands like Serta, Sealy, and Tempurpedic will have some of their models available for a lower rate online. Same goes for the major department stores. You might even be able to find deals on their websites that aren’t available in-store. Indeed, you’ll find unique promotions online from retailers of all types. This includes online-only brands—who often have more competitive prices to begin with. Have a specific brand in mind? Consider following them on social media or signing up for their emails. You might get tipped off to an insider sale with even bigger savings. The bottom line is that there’s no shortage of places to find discounts during the holiday. But some retailers may offer more favorable prices than others. So shop around and see what you can find. What Types of Offers Will Be Available? The possibilities are truly endless. Though there are a few scenarios that are more likely than others. Most often shoppers run into these options—sometimes in combination. Everyone loves a giveaway. 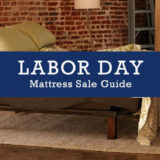 Over the holiday, retailers will be offering many different free items or services with the purchase of a new bed. Think sheets, pillows, and even additional mattresses may be given away at no cost. This can make the original bed seem even more valuable. Freebies can be great, of course. Just be smart about what’s being offered. A bed’s quality or value won’t actually improve just because it comes with something extra. Be sure to estimate the value of the freebie and consider what you’re paying before committing. Consider whether you actually need the free item too. If you don’t, it’s not really a great deal. We’re all familiar with them. These are the price cuts taken off at the register when you make a purchase. (Or applied to your purchase using a discount code if you’re shopping online.) Discounts tend to be preferable to other deals because they can save you a good amount of money up front. Just remember that retailers might bump up prices before discounting them to make the new prices seem more impressive. In general, you should be wary of sales that claim huge markdowns. Think anything over 50%. 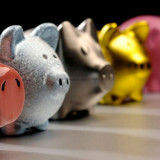 In those cases you might not be saving as much as you think. The best way to check is to compare prices across multiple retailers. This can help ensure you’re getting a true discount. Most shoppers redeem rebates by mailing a receipt to the retailer or manufacturer. (So don’t forget to send it in!) Getting your return can take several weeks or even months. So make sure to factor that into your budget. Keep track of your receipts too. Just in case the rebate doesn’t arrive when it’s supposed to. Some retailers offer beds for very low prices as a promotional strategy or as “doorbuster” items. It can be tempting to take advantage, but be warned. These models are often very low quality. It’s unlikely that they’ll deliver on comfort or durability. This could mean you end up shelling out more to replace a shoddy bed sooner. It may be worth skipping out on these promos altogether. Paying a little more for a high quality bed up front can help you save in the long run. Holiday price cuts aren’t just for brick and mortar stores anymore. The number of online bed brands are growing by leaps and bounds. That means that you’re more likely to find some great discounts from the comfort of your own home. If you’re headed to a store or showroom, be sure to do a price comparison online before you buy. There’s a good chance you’ll be able to find a better offer on the Internet. Don’t forget about online-only brands either. These manufacturers don’t usually sell their models in showrooms. Sticking only with physical stores could mean missing out on a broader selection. 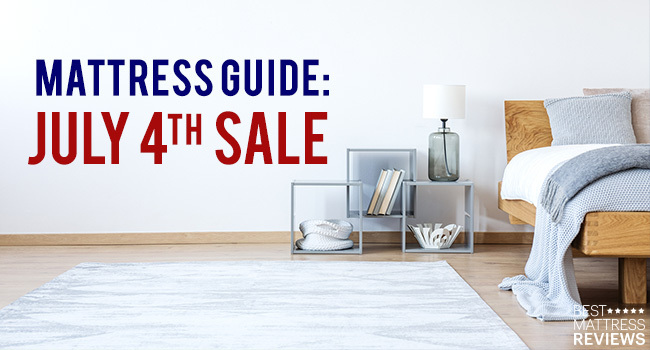 How Can I Find the Best July 4th Mattress Deals? Reading this guide is a good start. But there are a few other things you can do to shop savvy and score the best price. One of the best rules of thumb is to do some of your own research and comparing. Online guides can be immensely helpful and can give you the lay of the land. But it’s still best to see what’s out there for yourself. You may find some offers that aren’t listed here. Start your hunt early. Holiday sales are usually announced about a week beforehand so retailers can start drawing customers in. The more time you have to compare and research, the better. Have a strategy. What kind of mattress are you looking for? What are your must-haves? What’s your ideal budget? Knowing the answers to these questions can help you find what you want—faster. Pay attention to the fine print. Look into any delivery fees that might be tacked on to your purchase. Also pay attention to any time limits or terms on shipping, returns, and redeeming rebates. Skip cheap eye-catchers. Door busters might be great for clothes and jewelry. But when it comes to a mattress, resist the urge to get lured in by flashy promo items. They’re usually low quality. Check warranties and return policies. What’s covered and for how long? How long do you have to return or exchange? Are there any fees involved? There are only a few times of the year when the savings are this good. If you don’t act now, you’ll likely have to wait until Labor Day in September. The good news is that it’s easy to find a great price on a quality mattress. Our favorite option of all is Amerisleep’s AS3. As we’ve mentioned, it’s a highly rated customer favorite. It’s also made with quality materials to deliver optimal support and comfort. The regular $1,399 price tag is a terrific value year-round. But the current sale price of $1,119 practically makes it a steal. Of course, everyone has different preferences and budgets. So if you want to explore your options, see what else is out there. Don’t just focus on the price tag. Factoring in all of these details will help you find a great bed at an even better price over the holiday. So get shopping!